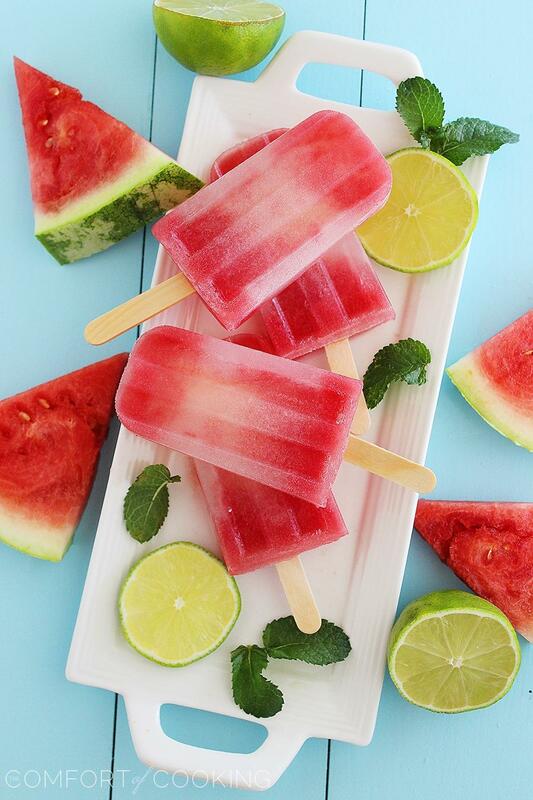 My favorite summertime food is watermelon. 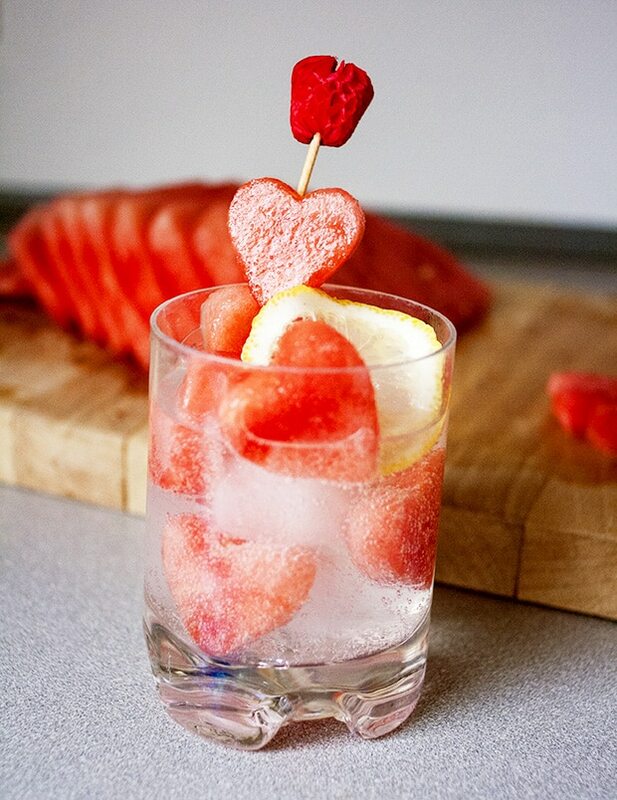 Not only is it juicy and refreshing, but it’s just plain fun. 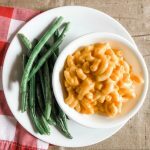 Looking for new ways to serve it? 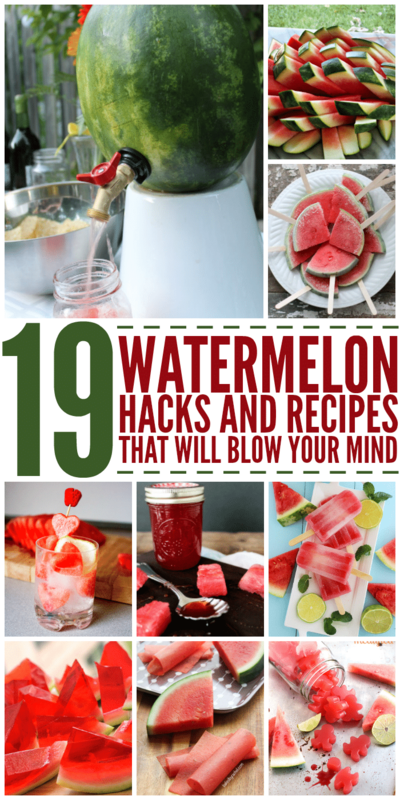 We’ve found 19 watermelon hacks and recipes that are going to blow your mind. 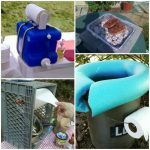 Seriously… just check out these creative ideas! 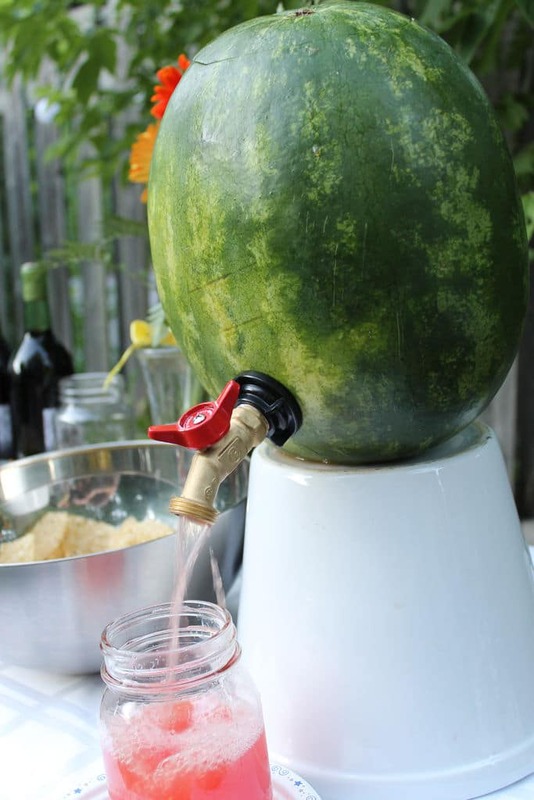 Turn a watermelon into a keg for your next party. 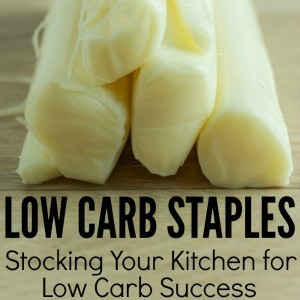 Fill it with Ginger Ale if you need a more kid-friendly drink. 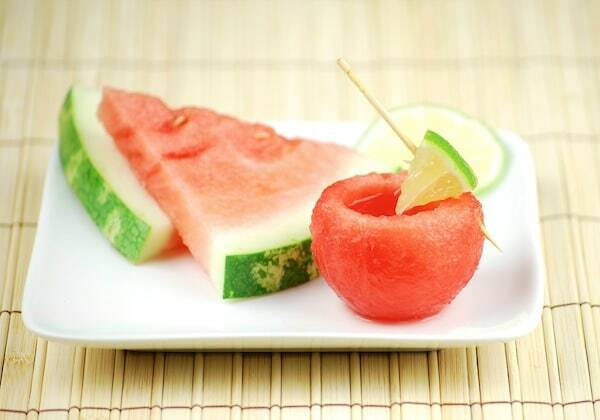 Pair watermelon and cucumbers to make some delicious popsicles adults and kids will love. 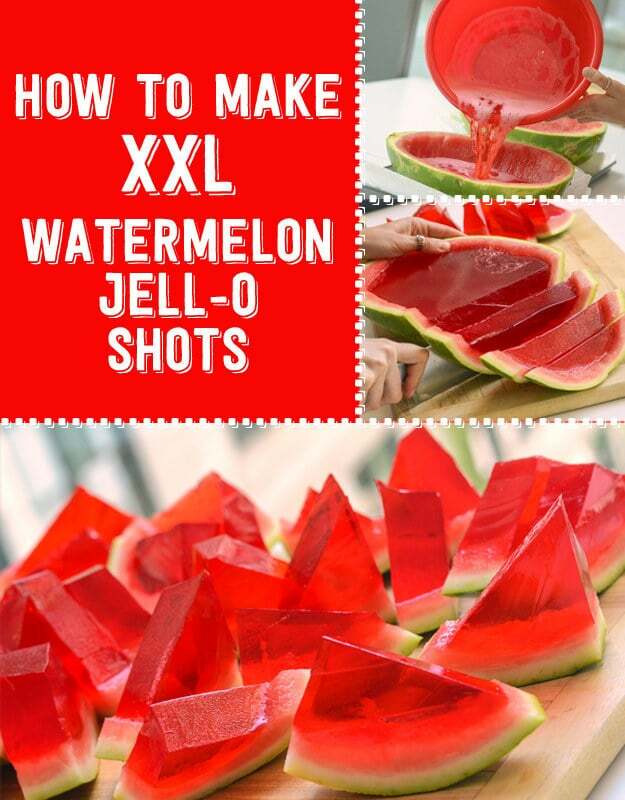 Or how about some watermelon jello shots for a crowd? 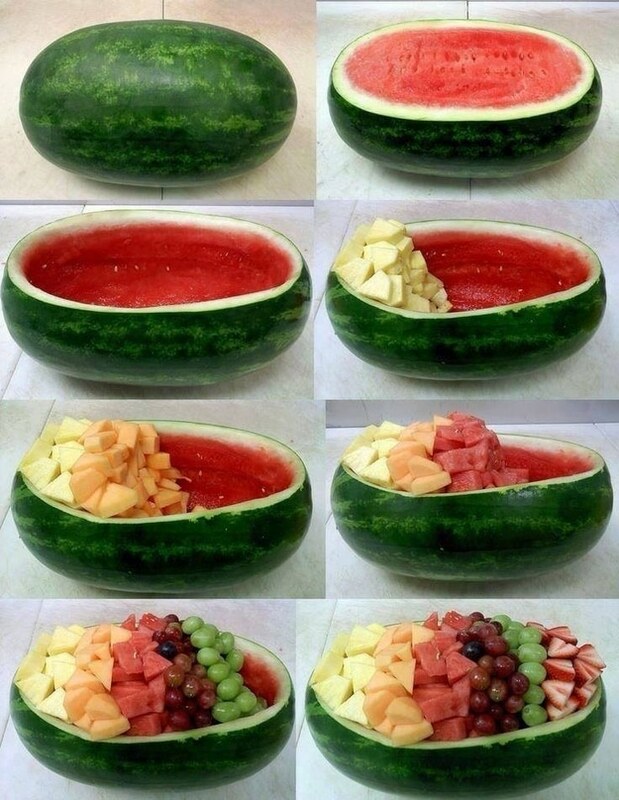 After scooping out your melons, use the watermelon hull as a pretty bowl for serving your fruit. 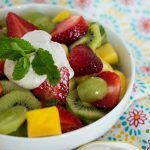 Teach your kids that fruit should be their primary dessert! 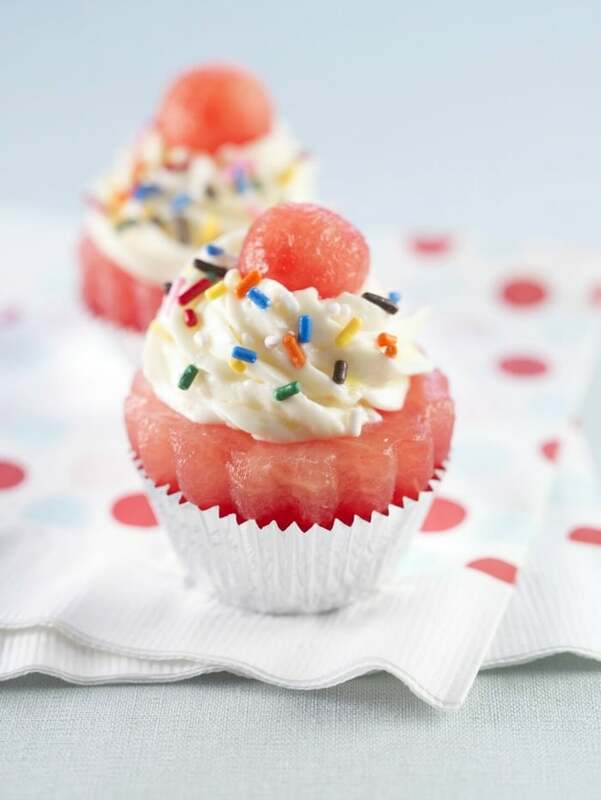 Top watermelon cupcakes with yogurt or a light homemade frosting for an extra special treat. I don’t know about you, but I’ve always found those huge watermelon wedges kind of hard to eat. 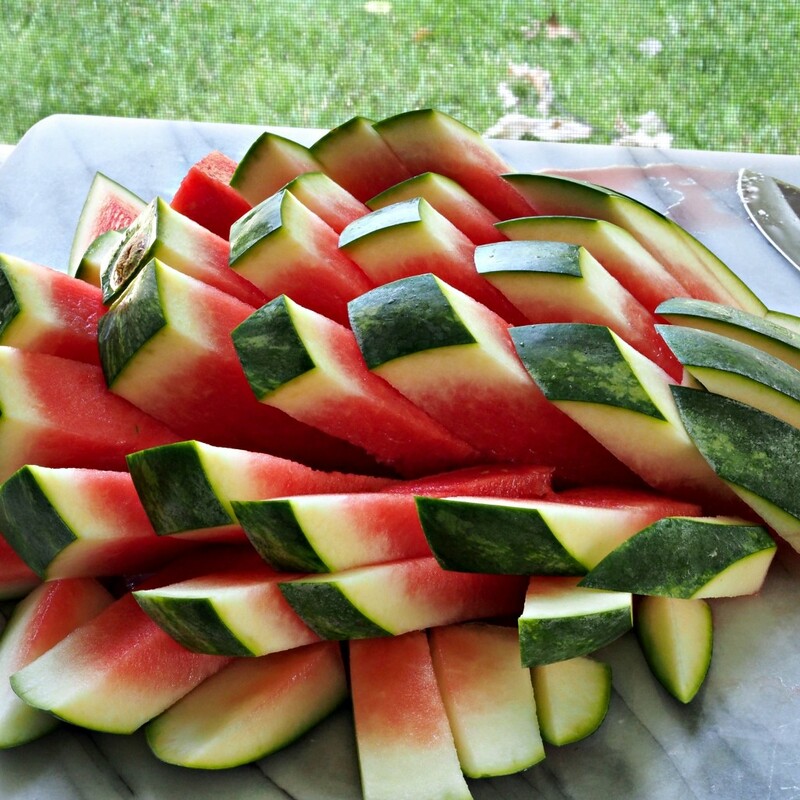 Watermelon sticks, however, are pure genius. I’ll cut mine this way from now on! 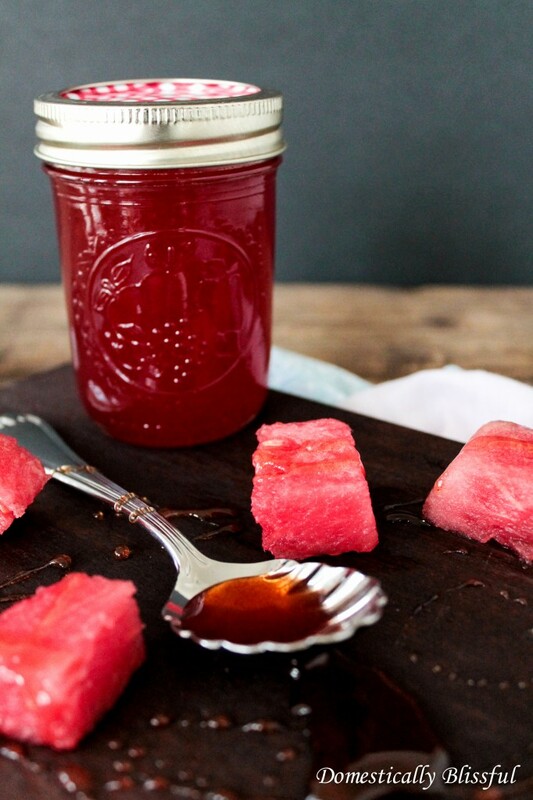 Make some watermelon syrup to pour over vanilla ice cream or pancakes. 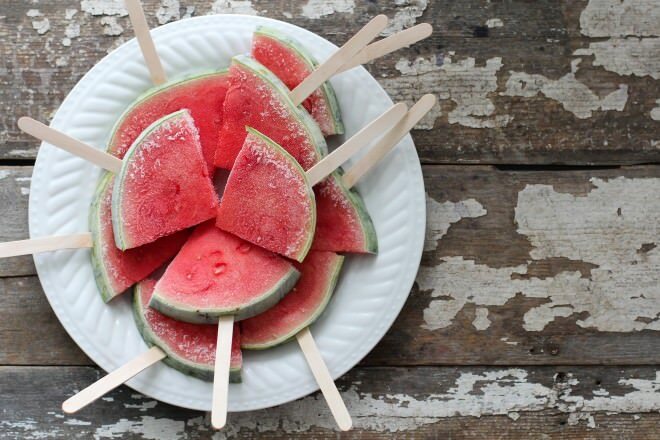 Watermelon slice popsicles are a healthy and yummy treat that kids will love. 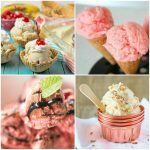 Want a refreshing summertime dessert? 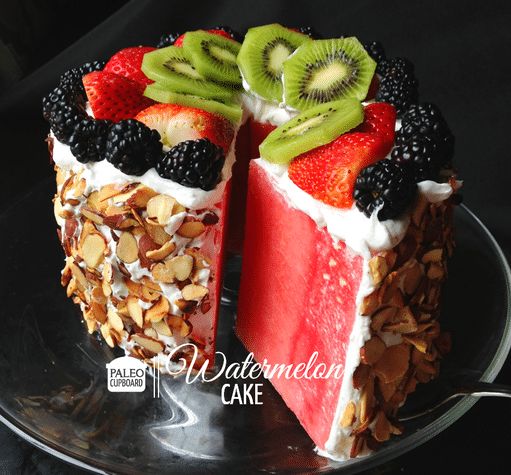 Watermelon Cake hits the spot for sure. 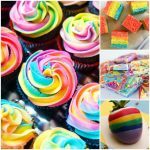 Look at all that delicious fresh fruit! 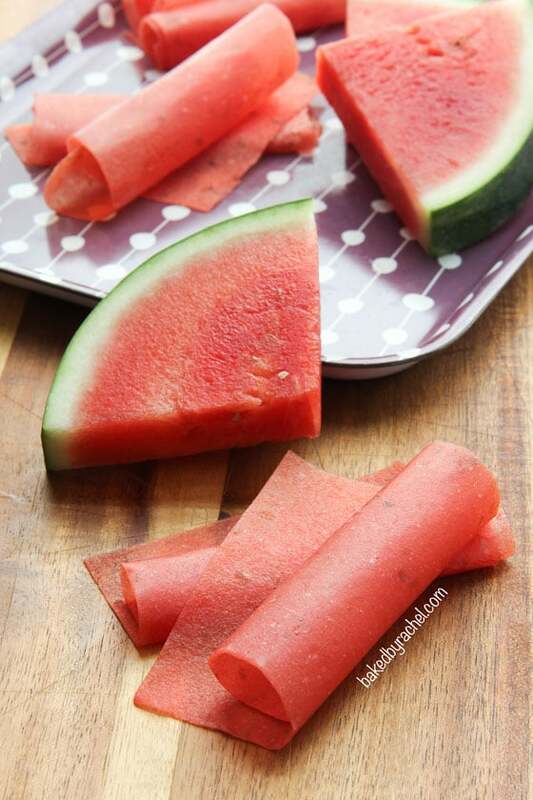 Watermelon Fruit Leather uses only two ingredients and is a yummy snack for the kids to take to school. 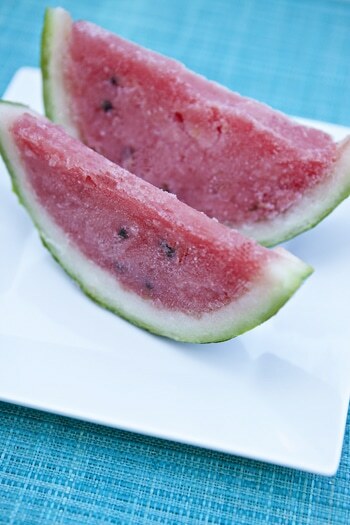 Make a sweet and tangy Watermelon Lime Sorbet to freeze into the hull. 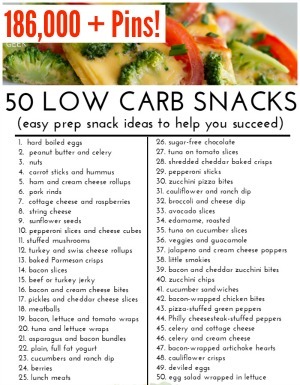 Cut it off into wedges, and you have a portable frozen treat. 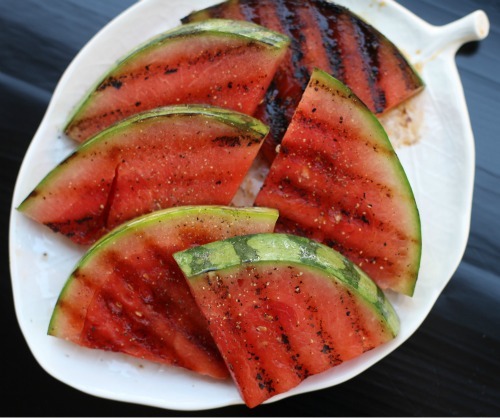 Have you ever tried grilled watermelon? Add a honey glaze to it if you weren’t a fan of plain grilled watermelon… it’ll knock your socks off. 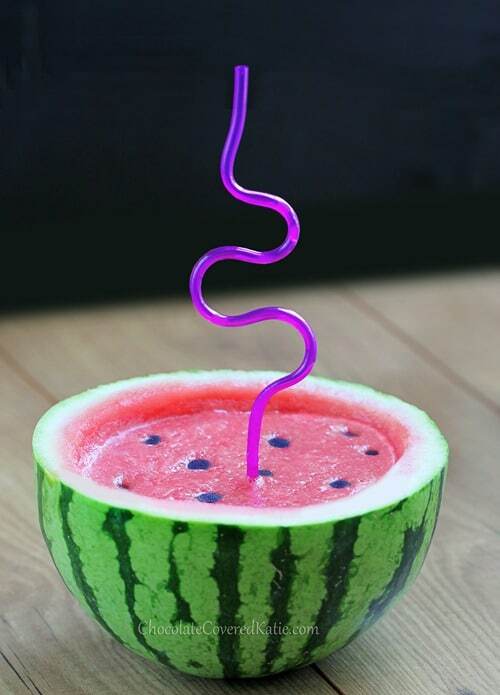 Make Watermelon Smoothies and serve them right in the rind. 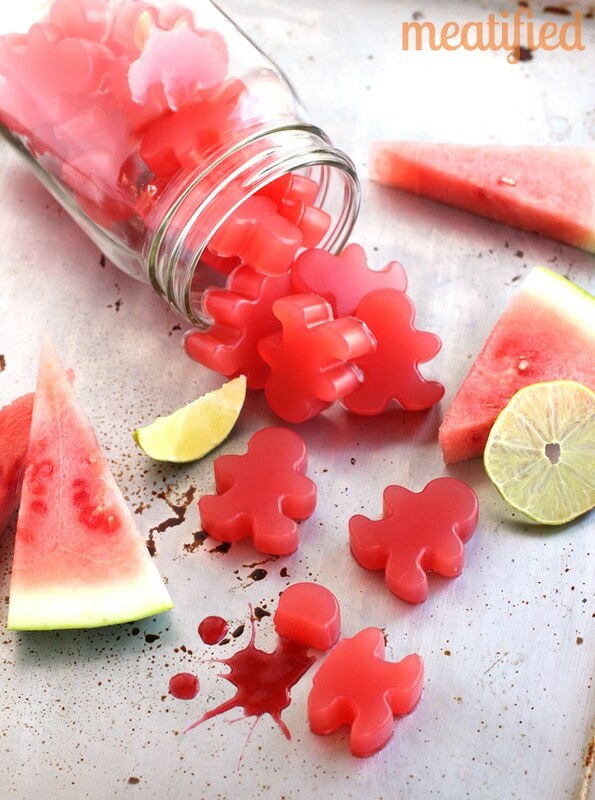 Cut watermelon into pretty shapes with cookie cutters to garnish your yummy summer drinks. 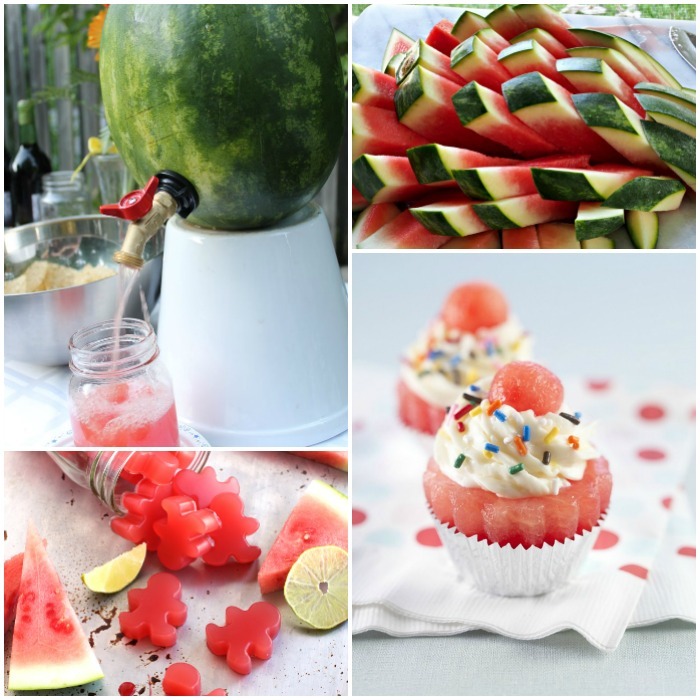 Watermelon also makes a handy shot glass. Take a shot, eat the glass… it’s delish. 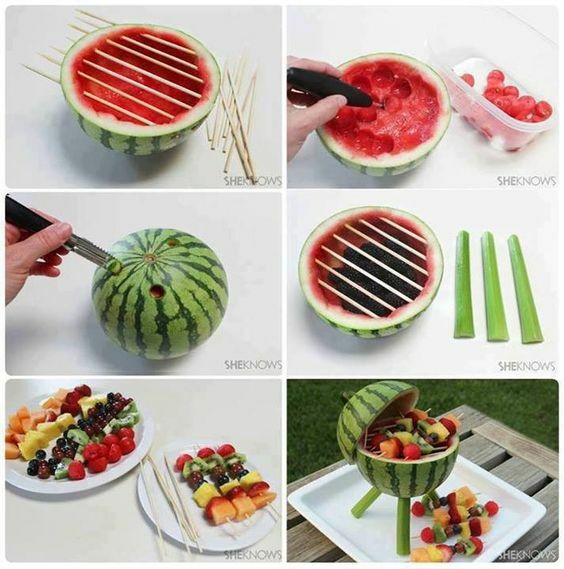 What a cute edible centerpiece for a summer party – A Watermelon Grill with Fruit Kabobs! Have more watermelon than you can eat before it goes bad? 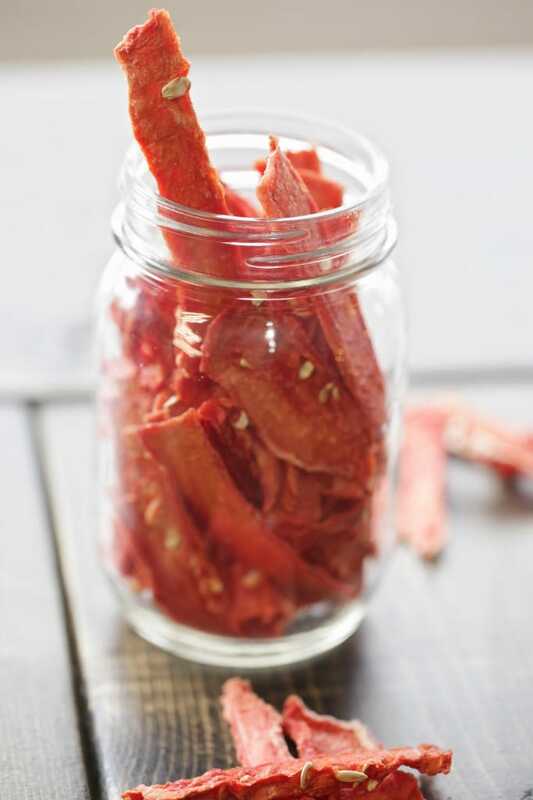 Throw it into the dehydrator to make Watermelon Jerky! 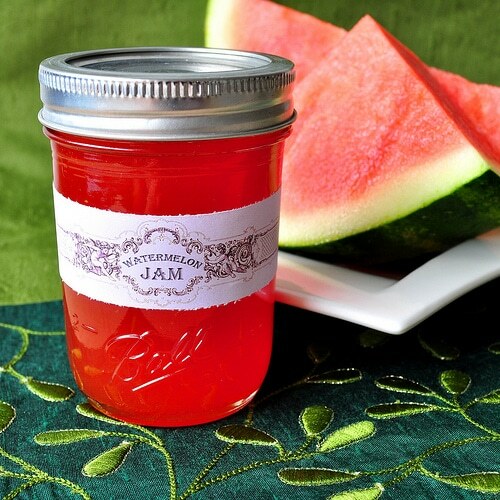 I bet this Watermelon Jelly would pair wonderfully with vanilla cookies or a sweet biscuit recipe.